It may have taken her longer than she wanted, but Toi Pearson is on her way to a bachelor’s degree and a career in business. Born and raised in Chicago, Toi used the year after she graduated from Lane Tech High School as an opportunity to work, save some money, and decide on her next move. For the next eight years, Toi worked a number of jobs – in coffee shops, as a security guard, as a traffic control aid at events, and in customer service. At one point, she went to massage therapy school. Knowing that she wanted a career and that nothing she’d tried so far was a good fit, Toi decided to return to school.  She enrolled at Kennedy-King College in September of 2016 because it was close to home and while she missed the beginning of the semester, she could still enroll in a French class mini-session. She enjoyed French so much, she started taking other classes little by little. When she took an economics class, she was hooked. She started to talk to friends who were in the business world, solidifying the idea that this was the right direction for her. 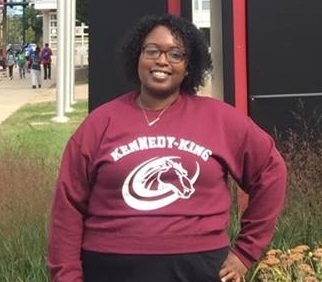 She started taking classes full-time in the spring of 2018, and has been busy – she’s had a few different work study positions, including in the Chancellor’s office and the Kennedy-King Transfer Center, she was a Student Government Association senator, and involved in the Phi Beta Kappa honor society and other on-campus events and activities. And this semester, she’s added Student Trustee to her resume. Toi plans to graduate in the spring of 2019, and is already in the process of applying to four-year universities – including some Ivy League schools. Her ultimate goal is to be a financial analyst for a large corporation, and she’s got her sights set on a master’s in financial economics.